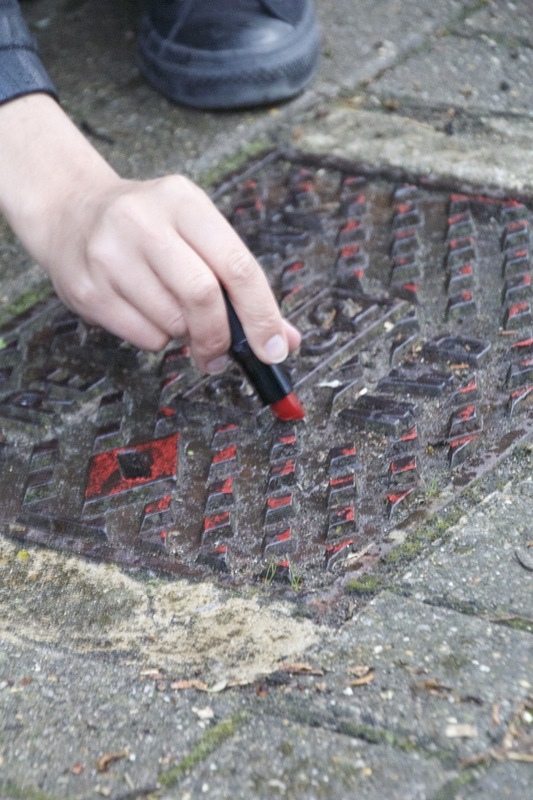 Lipstickaction 0001 (2013), an ongoing series of decorative acts. 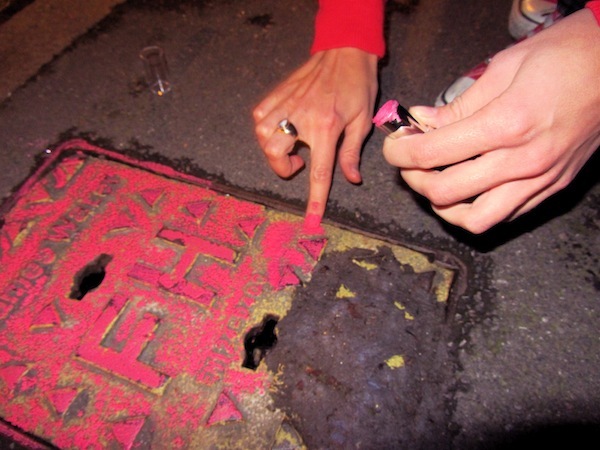 A woman applies lipstick and then applies the same lipstick product to a man hole in the street. These images show photographic documentation of action 0001 enacted by Nastja Rönkkö, 0003 enacted by Sasha Bowles and 0005 enacted by Kim-Leigh Pontin.